Capalino+Company is thrilled to be ranked among the top lobbying firms in New York State. This week City&State released their special issue New York State’s Top 10 Lobbyists in which Capalino+Company is ranked #5. This recognition is a testament to the leadership of our CEO Jim Capalino and our exceptional team who have been doing great work in New York City and throughout the state for our clients. “Our practice is built around recruiting people through our ranks who are really exceptional leaders, either in policy or operations, in their respective fields,” says CEO Jim Capalino. To learn more about our award-winning team, visit Our Team page. JIM CAPALINO: As a general philosophy, our practice is built around recruiting people through our ranks who are really exceptional leaders, either in policy or operations, in their respective fields. For instance, we are very privileged to have as one of the senior members of our team Arthur Webb, who is a former official in the administration of the first Gov. Cuomo and is an acknowledged health care expert and has a huge amount of experience with the redesign of health care systems. We have a former deputy executive director of the MTA by the name of Chris Boylan who served at the MTA for 25 years and he handles all of our transportation-related matters. Tunisha Walker runs our MWBE program. She was an official under this Gov. Cuomo where she coordinated MWBE compliance and policy development at the state Department of Labor. We have a very deep bench of experience of former government officials who understand in a deep way how government functions. And we have long-term relationships that can be very helpful in helping clients understand the government’s perspective. CITY&STATE: Who are your major clients? JIM CAPALINO: We rarely take on an engagement where we’re directly lobbying the state Legislature. I don’t have an Albany office and I don’t have anybody posted in Albany. Our focus is basically the state agencies. And it won’t surprise you that the state agencies that are most often the focus of our advocacy actively are the ones that have an impact on the real estate and construction industries. So it’s Empire State Development Corporation, the state Department of Transportation, the state Department of Environmental Conservation and the state Department of Taxation and Finance. We also do a fair amount of work in the health care arena. CITY&STATE: How is the lobbying business changing? JIM CAPALINO: One of the things that has happened is that where historically the practice of Albany lobbying was very much an extension of law firms, and in some cases major law firms, some of that has changed because I think law firms to some extent have shrunk their commitment to this area of service. On the other hand, you see the growth of independently owned government relations firms, principally as a result of people leaving state government and starting firms or joining firms. There’s been a little bit of a shift in the terrain. 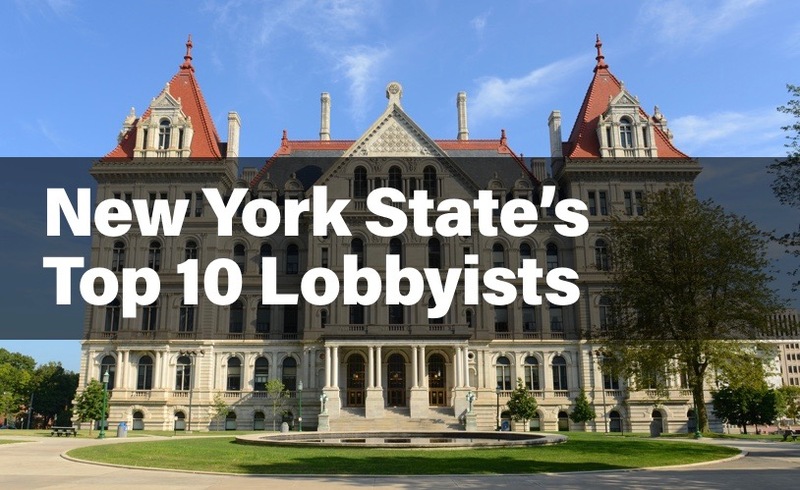 To see the full list and read interviews of City&State’s Top 10 Lobbyists in NYS, visit City & State’s website.